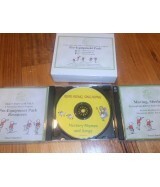 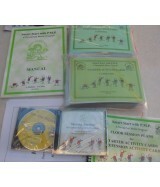 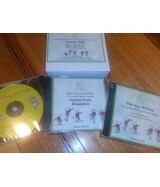 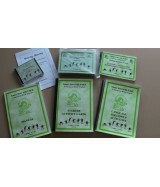 Starter Package A includes Teacher Manual, Starter Activity Cards laminated, Language Follow Up a..
Starter Package C is a self contained package with all the teacher resources needed to establish ..
Includes Manual, Floor Sessions, Starter Cards (book form) Language Follow Up Activities, Moving ..
Movement Activities for a Perceptual Motor Program for 4 to 5 year olds.The program aims to provi..
Includes Manual, Floor Sessions, Laminated Starters Cards Set, Laminated Extension Cards, Languag..
Perceptual Motor Program resources in PDF format. 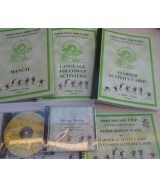 Includes Manual, Enjoying the Journe, Floor Ses.. 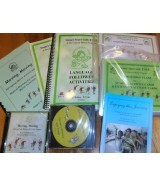 P.M.P., Starter Package including Manual, Floor Sessions, Starter Cards, Language Follow up activ..